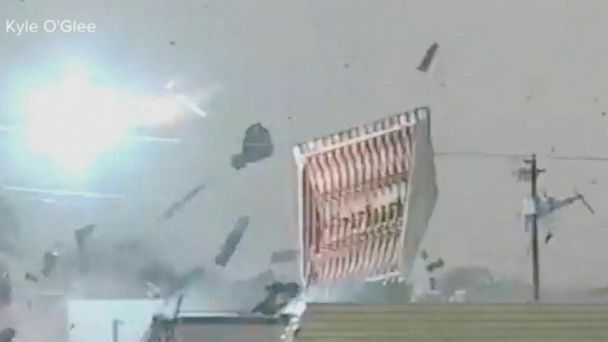 Follow the latest Tornadoes news, videos, and analysis from ABC News. A new storm system forming in the West could possibly bring more than a foot of snow to the middle of the country. 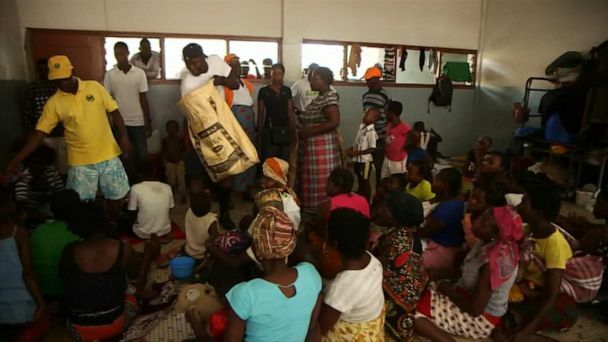 Many locals in the area have been without food for nearly 10 days. 10 tornadoes were reported across five states on Saturday, just days after tornadoes killed 23 people in Alabama. 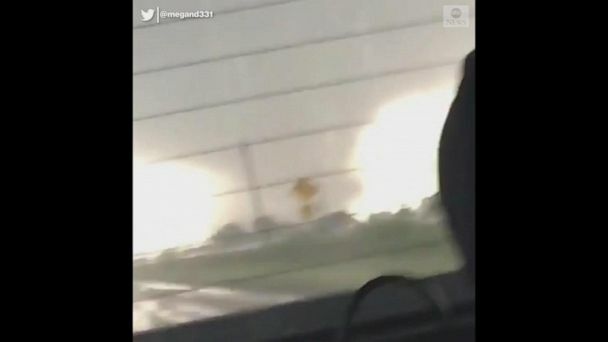 A reported tornado twists just outside a town in Arkansas, as a severe storm moves East bringing damaging winds and large hail. President Donald Trump visited Alabama on Friday to survey the areas devastated by deadly tornadoes. Beauregard, Alabama resident Freddy Tate talks surviving the deadly tornadoes which claimed the lives of his great uncle, aunt and cousin. Twenty-three people were killed after a tornado ripped through Beauregard, and now families are preparing for funerals for their loved ones. President Donald Trump is set to survey the damage left by a tornado that left 23 dead. 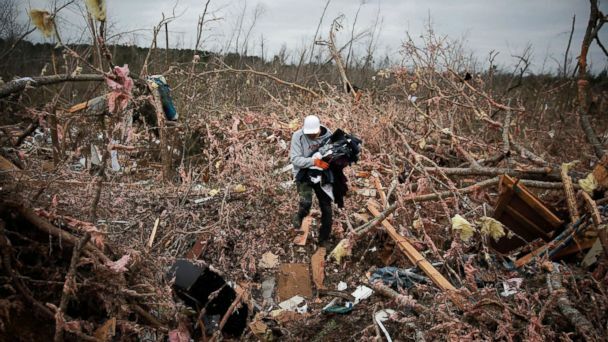 Alabama reisdents search through destruction left behind by the deadly tornado. 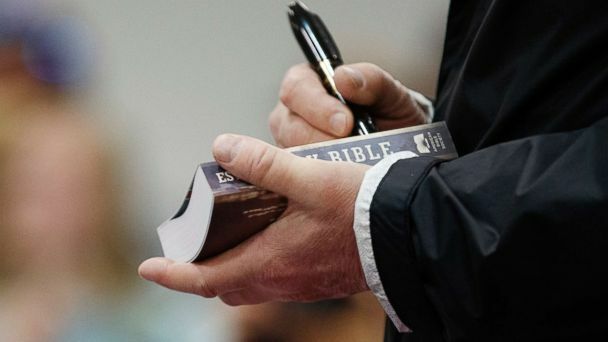 The names of the Alabama tornado victims were released and companies offered to cover funeral costs. An animal hospital is helping to care for the various pets that were injured by the tornadoes. The twister that tore the heart out of Alabama was on the ground for more than 68 miles, the National Weather Service said. 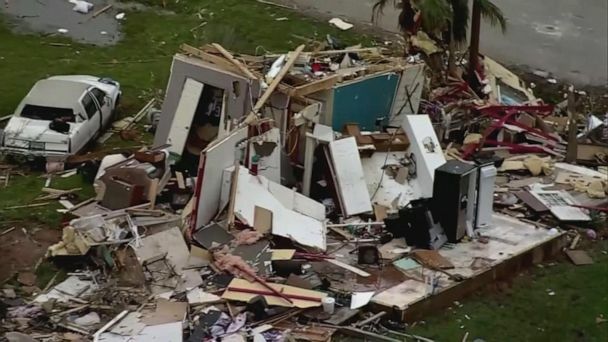 People in Alabama are taking it upon themselves in the aftermath of the powerful storms to bring relief aid to survivors devastated by the horrific destruction. The tornado that hit the area of Beauregard, Alabama, measured nearly 1 mile wide and had wind speeds up to 170 mph, authorities said. Among the dead, at least three children - including a fourth grader, Taylor Thornton. At least 23 were killed by tornadoes in Lee County, about 60 miles northeast of Montgomery, Alabama. The shattering tornadoes that plowed through Lee County, Alabama, killed at least 23 people and left a path of destruction. The community came together as they prayed and mourned, vowing to stay "Beauregard Strong." 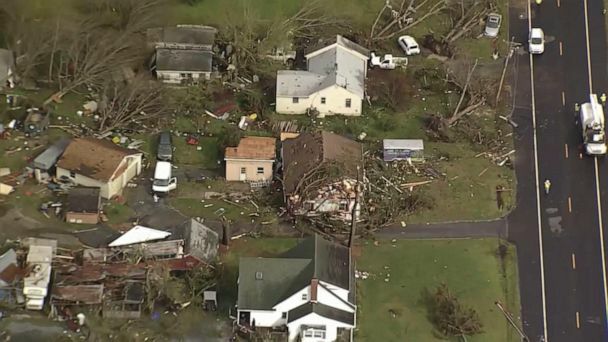 A strong storm on the West Coast caused a tornado in Washington. Severe storms pounded the Northwest as the possible twister ripped off roofs, knocked down trees and leveled a neighborhood. A number of buildings in Port Orchard have been destroyed. Officials in Port Orchard, Washington, confirm a tornado touched down Tuesday afternoon as severe storms pound the Pacific Northwest. There were no immediate reports of any injuries. The National Weather Service warned residents 41 minutes before the twister struck in Taylorville, Illinois. There have been at least nine reported twisters across the East; storms affected voting in some areas. 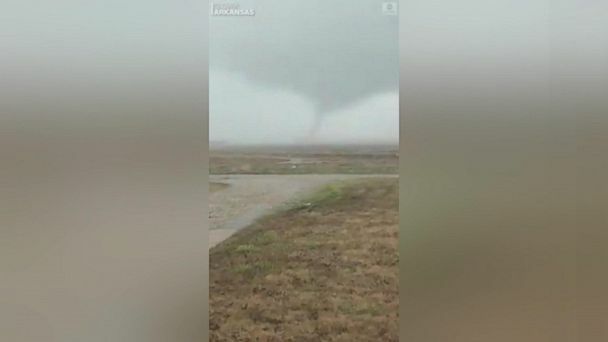 No one was hurt and the facility was evacuated as tornado watches were announced in six states from Ohio to Connecticut. Iowa, which usually averages about seven tornadoes in the month of July, saw 27 reported twisters rip through the state Thursday night. The remainders of a subtropical storm brought down trees over homes in parts of Alabama. When it comes to tornadoes, you’ve seen them, and you’ve seen what they can do. But do you really know how a tornado forms into that monstrous swirl of dangerous winds? 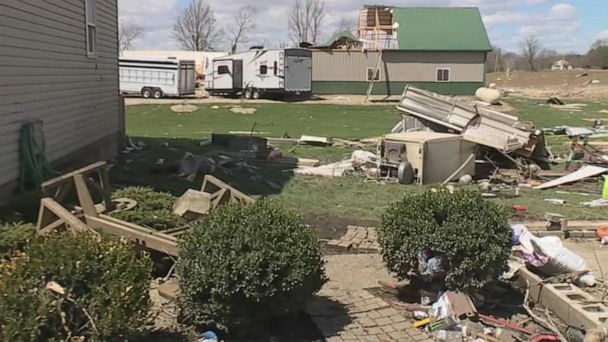 At least 3 reported tornadoes in Ohio and Indiana and severe rain and winds left residents without power, toppled trees and ripped off roofs. A possible tornado tore through a county fair in Central City, Iowa, forcing attendees to take cover. Six states are on alert and the storm has already caused intense damage. Storm chasers captured video of two twisters spotted near Cheyenne, Wyoming, on Monday as severe weather moved through the region. Video shows a massive, mesmerizing tornado passing through a town in Alberta, Canada. 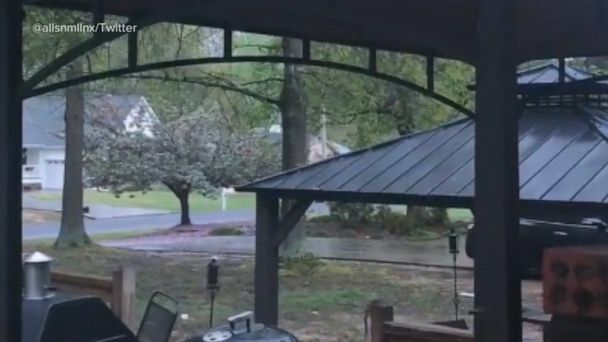 An image of a man pushing a lawn mower near a tornado is creating internet buzz. Cecilia Wessels of Alberta, Canada, captured her husband pushing a lawn mower near a moving tornado on June 2. Video from Alberta, Canada on Friday shows a monstrous tornado touching down as cars continue to drive towards the storm on a nearby highway. A thunderstorm produced a tornado that touched down on Friday near the town of Three Hills in Alberta, Canada. Ron Belcher survived the destruction of his Wisconsin home and was later reunited with his lost dogs while recovering in the hospital. Aerial footage shows destruction in Elk City, Oklahoma, where a tornado touched down Tuesday, leaving at least one person dead, authorities said.